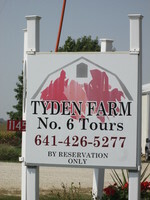 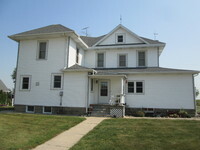 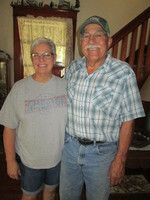 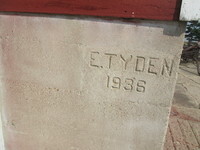 This is a photograph of the couple that owns Tyden Farm #6 and conducts tours of this historical Iowa farm. 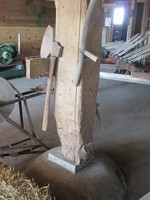 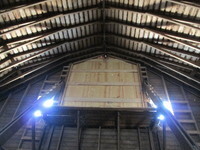 This large door in the barn loft is used to transfer bales of hay or other items from a wagon to the barn using a pulley system. 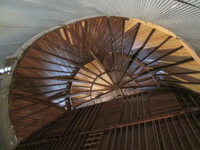 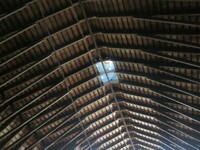 This barn ceiling and skylight is from the restored barn on Tyden Farm #6 which was built in 1936. 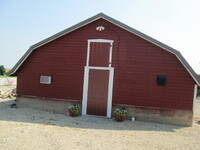 The hog house on Tyden farm no. 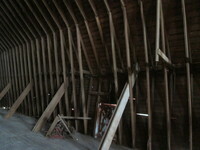 6 is also framed with wood and is covered with horizontal drop siding.